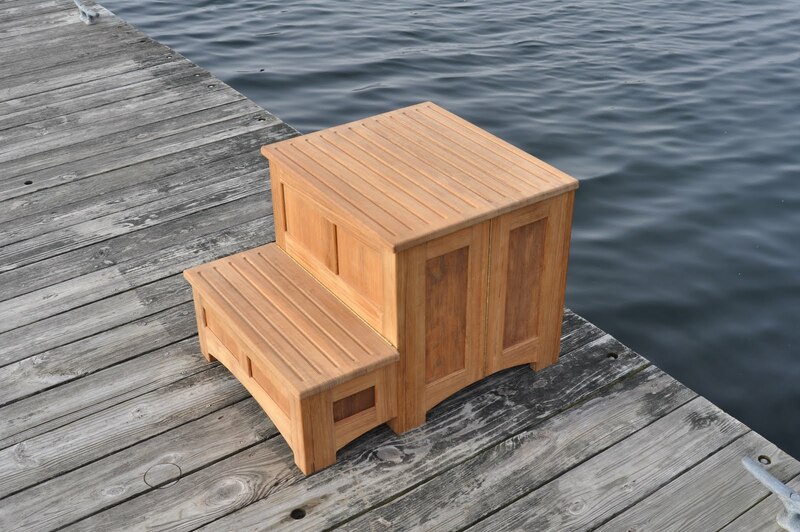 The individually hand-crafted Teak Dock Step is constructed from solid teak which provides a natural non-skid on the treads. 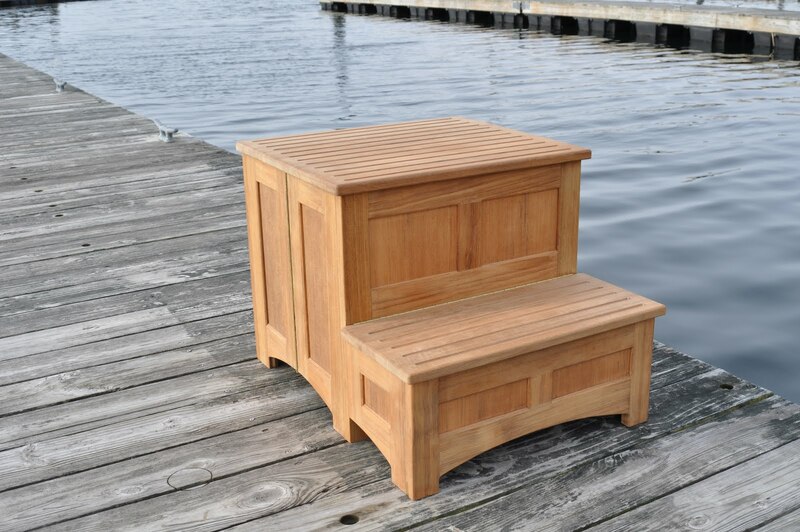 The sides are paneled which gives it a classic look without reducing its overall strength and stability. 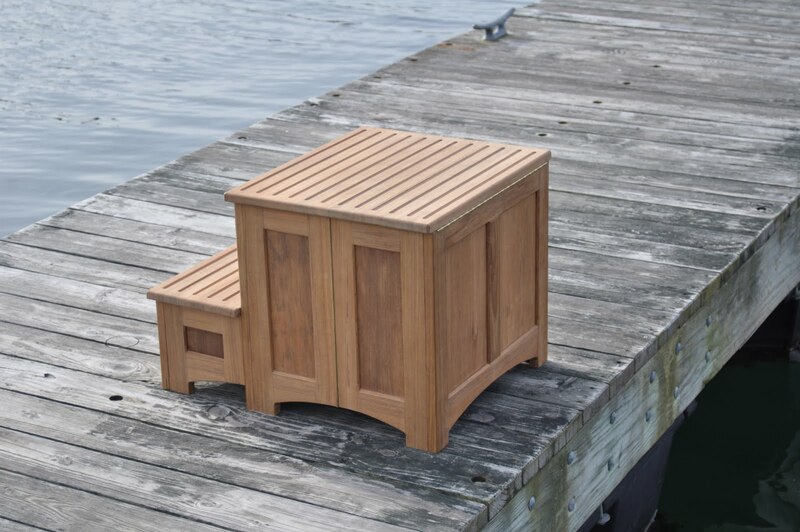 The large steps are fluted to provide an easy and secure platform to board and especially disembark your yacht. When the step is folded, a positive lock catch prevents the step from opening unintentionally. 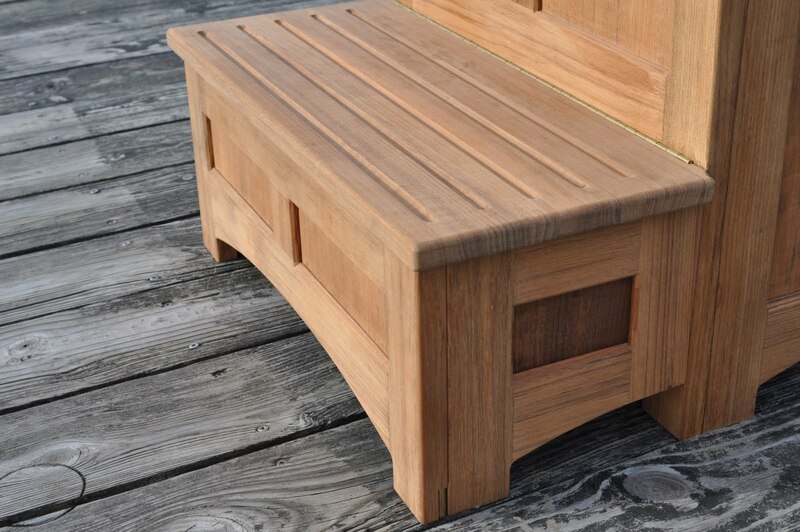 All of the hardware on the dock step is either bronze or brass. 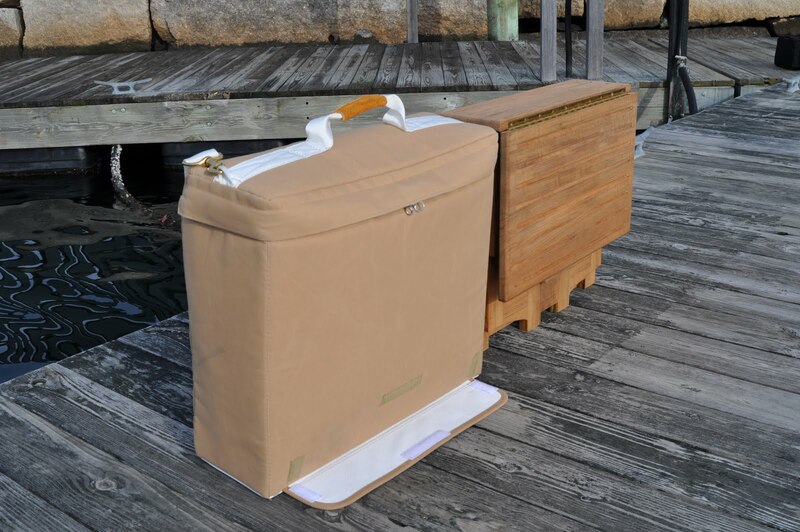 There is also the option to purchase a Sunbrella padded bag with a handle and shoulder strap for easy transportation on and off the boat [fabricated by Custom Marine Canvas]. Please contact us here for further information or to place an order.